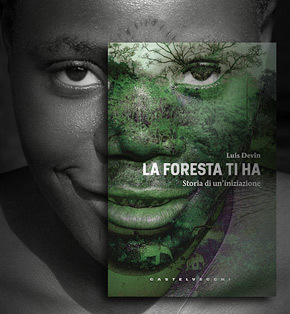 "We walk on for hours, until the sun falls into a net of lianas and the forest carries it away. As old Folì once told us. 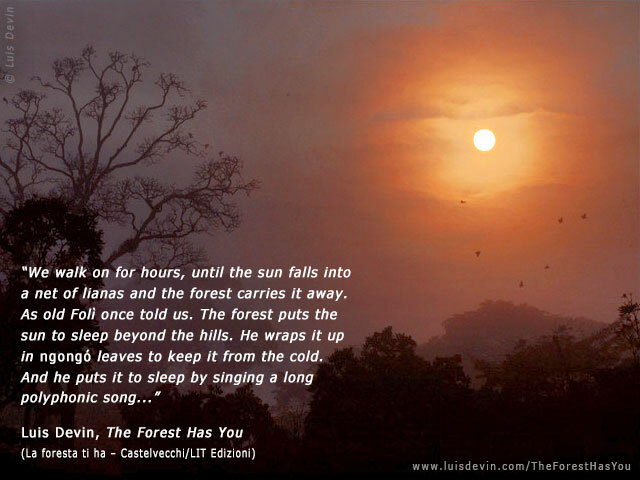 The forest puts the sun to sleep beyond the hills. He wraps it up in ngongó leaves to keep it from the cold. And he puts it to sleep by singing a long polyphonic song..."
Page URL: http://www.pygmies.org/rainforest-pygmies/photo-gallery.php?photo=9 Photos, texts and audio recordings by Luis Devin.